This is a story of fantasy. It occurs in a swampy grove of marshland infested by snakes, rats and mosquitoes… a place commonly believed to be where animals go to die. 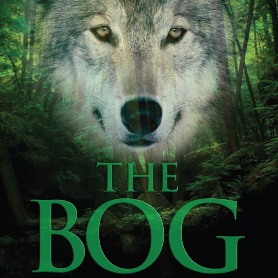 It is the story of a man who enters this forsaken quagmire while following the cry of a wounded animal…and that is where he encounters a wolf named Napoleon. This is the story of what happens after that meeting. Bob Middlemiss, editor; member, advisory board, Tennessee Mountain Writers Conference. There are books that are so fascinating that we will never forget about them, about the message them send, the wonderful things that we learn just from reading it, and the power that they have. Every single detail on this so amazing book is fascinating and will for sure grab your attention from the moment you opened its first page and the moment you reached page # 156. We know how deep is the bond and the love in between dogs and owners and The Bog will show you this message in way that you will never forget. 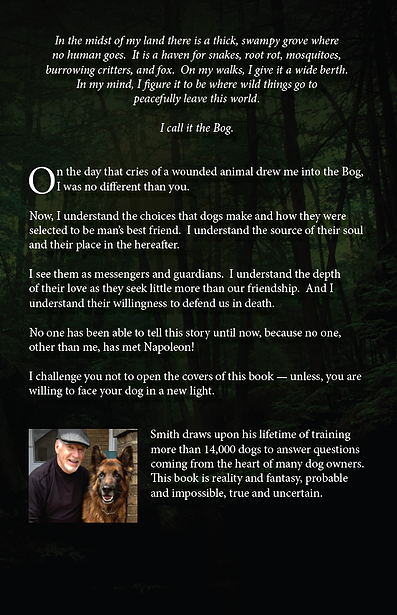 John Preston Smith dedicates this awesome story to “all of the special dogs that have been a part of your life and for all those special dogs yet to come”. Thank you dear John for taking the time to write in paper the deep feelings from your heart and for giving us the opportunity of learning about “the magical and mysterious, sometimes bordering on the mystical” relationship of dog and man. Copyright 2015 PawsPetFoundation.org. All rights reserved.